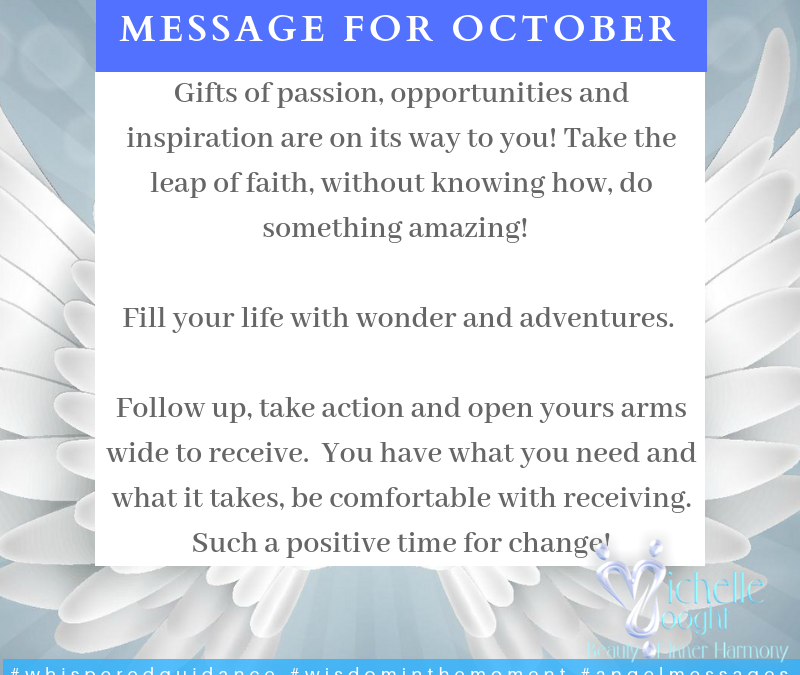 This month – Gifts of passion, opportunities and inspiration are on its way to you! Take the leap of faith, without knowing how, do something amazing! Fill your life with wonder and adventures – you may be offered a new position or start your own business – or receive some great ideas! Follow up, take action and open yours arms wide to receive. You have what you need and what it takes, be comfortable with receiving. Such a positive time for change! Dear God and Archangel Ariel, help me to see myself through the eyes of love too. Help me to see that everyone is a child of God and that as I learn to balance all aspects of myself, it allows me to in turn, see the good in others. Thank you for my strength and courage, thank you for the gift of forgiveness. I ask that you assist and provide me with………………………………… I now stand up in confidence and receive with gratitude the gifts, promotions, miracles and adventures. Thank you, thank you, thank you. And so it is. Amen.